Why are ADL and the Reform Movement Condemning Trump’s Order and Supporting Bringing People Into U.S. Who Can't Be Vetted While Many Support Terrorism, Are ISIS Infiltrated, and Have Anti-Semitic/Anti-Israel Views? 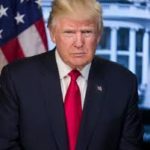 The ZOA praises President Trump’s draft “Executive Order Protecting the Nation from Terrorist Attacks by Foreign Nationals.” The draft Executive Order carries out the first obligation of the President of the United States – to protect the safety of the American public. The draft Executive Order addresses the dangerous flaws with the U.S. vetting and immigration system that have enabled foreign terrorists to perpetrate fatal terrorist attacks on American soil, including 9-11, and the Boston Marathon and San Bernadino massacres. If actions such as those contemplated by the draft Executive Order are not taken, the American people will continue to be attacked again and again by foreign terrorists. In addition, the draft Executive Order is humane, and begins the process of establishing safe zones for vulnerable Syrian refugees. 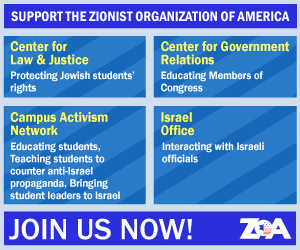 The ZOA is appalled that leftwing Jewish groups such as the Anti-Defamation League (ADL) and the Reform Movement are “strongly condemning” this draft Executive Order. Why in the world are the ADL and Reform Movement supporting continuing to bring people into the U.S. who are not properly vetted, a significant number of whom support terrorism and have extremely hostile views towards Jews and Israel, over the safe and humane alternative proposed in President Trump’s draft Executive Order? The draft Executive Order properly addresses both the safety needs of the American public as well as refugees’ need for a safe place to live. The draft Executive Order establishes a process for reviewing and determining which countries fail to provide the U.S. with adequate information to ascertain if potential immigrants from those countries pose security or public safety threats. Countries that provide inadequate information will be given an opportunity to cure their deficiencies. 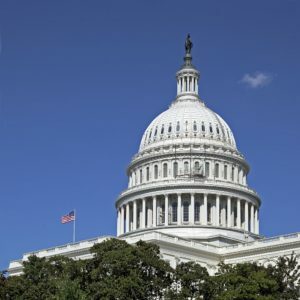 If those countries still fail to comply with U.S. information requests after a specified time period, immigration from those countries will be banned (with certain exceptions), until compliance occurs. To facilitate this process, the Executive Order temporarily suspends (for 30 days) immigrant and non-immigrant entry into the United States from designated countries. ZOA is appalled that leftwing Jewish groups are wrongly analogizing this humane, reasonable, security-based draft Executive Order to U.S. restrictions in the 1930s on Jewish refugees fleeing from Nazi Germany. 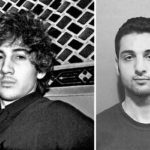 This is a much-needed effort to address a key flaw with the U.S. immigration vetting process, pointed out by numerous top U.S. security officials during the Obama administration: the lack of information needed to properly vet immigrants and to keep ISIS from infiltrating the U.S. As FBI Director James Comey put it: “We can only query against that [information] which we have collected. And so if someone has not made a ripple in the pond in Syria on a way that would get their identity or their interests reflected in our databases, we can query our databases until the cows come home but nothing will show up because we have no record of that person. . . You can only query what you have collected.” (“Nation’s Top Security Officials’ Concerns on Refugee Vetting,” House Homeland Security Committee, Nov. 19, 2015.) Other top U.S. security officials’ statements, confirming that the lack of information makes vetting impossible, and that this endangers the American public, and that we know that ISIS is infiltrating with the refugees, may be found in our prior post: “ZOA: US Officials Express Security Concerns on Syrian Refugee Issue,” Nov. 19, 2015. The draft Executive Order also addresses other notable failings of the U.S. vetting process, by establishing uniform screening standards for all immigration programs, including a variety of items such as in-person interviews, designed to identify individuals seeking to enter the United States fraudulently, with intent to cause harm. The lack of such uniform standards had enabled San Bernadino massacre perpetrator, ISIS terrorist Malik Tashfeen, to enter the United States using fraudulent information. The draft Executive Order also establishes a review process of the US Refugee Admissions Program (USRAP) to determine and implement additional procedures for ensuing that persons entering the US under this program do not pose a security threat. The draft Executive Order suspends USRAP for 120 days to facilitate this critical review and safety improvements. But, even during the 120-day USRAP suspension period, the Secretary of State and Homeland Security may admit refugees on a case-by-case basis – another humane aspect of the draft Executive Order overlooked by the Order’s critics. The draft Executive Order also starts planning the establishment of safe zones to protect the vulnerable Syrian population. Safe zones enable refugees to live in a secure, culturally familiar environment – while protecting the American public from terrorism. It is astounding that leftwing groups are criticizing a draft Executive Order that is attempting to fix our vetting system – so that refugees can be allowed in safely in the future. Why do these Jewish groups want to keep a dysfunctional system that allows in terrorists and Jew haters as PEW polls indicate. ZOA is appalled that leftwing Jewish groups are wrongly analogizing this humane, reasonable, security-based draft Executive Order to U.S. restrictions in the 1930s on Jewish refugees fleeing from Nazi Germany. A ZOA official who had several relatives on the SS St. Louis is particularly offended that leftwing Jewish groups are attempting to analogize President Trump’s humane draft Executive Order to Democratic President Franklin D. Roosevelt’s refusal to allow the SS St. Louis, which was carrying over 900 Jews, land in the United States. Europe’s Jews in the 1930s – 1940s had no safe zones to flee to: Britain had slammed shut the door to the area that is now the State of Israel. Most importantly, Jewish refugees posed no threat to the United States. No Jewish immigrants flew airplanes into buildings, or massacred scores of innocent people at a holiday party or nightclub or marathon or drive trucks into innocent citizens. Simply put, President Trump’s draft Executive Order is an important step needed for fixing America’s broken immigration system, and assuring the American people’s safety. ZOA strongly praises President Trump for his wise and humane order that protects Americans.